Uneven floors can be a store owner's worse nightmare. It can also be a safety hazard for employees and customers while affecting the overall appearance of the store. 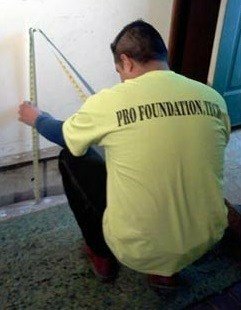 If your retail floor is in need of a facelift or repair, Polyjacking.com offers the perfect solution for all of your concrete repair needs. Polyurethane is injected through tiny 5/8 holes. As the foam expands under the floors, the concrete is raised back to its original position and permanently stabilized. All drilled holes are filled and the area is cleaned up. The floor is ready to be used quickly, as the curing time is around 15 minutes. Polyjacking requires little disruption, therefore, it is the most preferred concrete repair method for retail flooring repairs for the St. Louis and Kansas City area. Using polyurethane foam offers many advantages for retail stores. Contact us today or get a free online quote if you need floor repair for your retail store in the St. Louis and Kansas City, MO area.